If you’re looking for insightful and educational golf course reviewers, you’ve come to the right place! As you know, not every golf course review published on the web is great, and some even kinda stink; so we decided to highlight the great providers of quality golf course reviews the world over and give you the absolute cream of the crop. Whether you’re an scratch golfer or a self-described hack, these golf course reviewers give you the descriptions, information and beautiful photos you need to get the most out of your golfing adventures. CONGRATULATIONS to every golf course reviewer that has made this Top list! We personally want to thank you for your contribution to making it easier for golfers to find their next course to conquer or inspiring dream of great golf trips. If you or your website is one of the Top, you have the honour of displaying the following badge on your site. This is the FIRST and thus the most comprehensive list of golf course reviewers on the internet and we're honoured to have you as part of this! Simply use the code provided below to add it to your site. 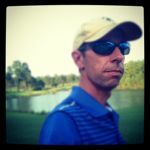 Brandon Tucker is Managing Editor for Golf Advisor and has been with the TravelGolf network since 2003. Today, Tucker oversees the network of Travelgolf.com sites and also contributes golf and travel articles, photo essays, videos and more. To date, his golf travels have taken him to over two dozen countries and over 500 courses. Tucker currently lives in Austin, Texas. He's played some great golf courses around the world, but says the northern part of his native Michigan is still his favorite golf spot. Many of Brandon's reviews can be found on golfadvisor.com. Mike Bailey is a senior staff writer for Travel Golf and is based in Texas. Focusing primarily on golf in the United States, Canada, the Caribbean and Latin America, he contributes course reviews, travel stories and features as well as the occasional equipment review. An award-winning writer and past president of Texas Golf Writers Association, he has more than 20 years in the golf industry. Before accepting his current position in 2008, he was on staff at PGA Magazine, The Golfweek Group and AvidGolfer Magazine. Reviews can be found at golfadvisor.com. Patrick Jones spent six years as a full-time sports writer and was awarded first-place honors for column writing from both the Florida and Texas sports writers associations. Jones has written columns and features and covered PGA and LPGA events for the GolfWeb, served as editor of NBC Sports' golf.com and is a regular contributor to Triangle Golf Today and Triad Golf Today. Connect with Brian Penn on Twitter. Brian Penn who authors All About Golf is a self-described, "Avid sports fan and golf nut. I am a lifelong resident of the Washington D.C. area. He also worked as a golf professional in the Middle Atlantic PGA for several years and am intrigued by the game to no end." On his golf reviews we appreciate the playing notes, the photos & sometimes videos. The highlight for us, though, are the areas where he assigns a numerical value to his experiences for: Value, Facilities, Customer Experience and Overall Rating. Brent Kelley is the About.com Golf Expert. Brent has been a sports journalist since 1986, serving as editor and writer at both newspapers and Web sites. Brent has been the About.com Golf Guide since November 2002. He says in this bio on About.com, "I'm not just a golf journalist - I'm a real golfer, and I invite you to join me in this wonderful sport." Ray Bangs has been crazy over golf from a young age. Ray later played on the varsity golf teams for his high school and college. Ray claims he was just lucky though, because, as he sees it, "My less-than-occasional flashes of brilliance on the course are easily overshadowed by the more frequent frustrations of my definitely less-than-perfect play." All too often choking under the pressure of big tournaments, as he likes to say, Ray decided to take a break from the game. After moving back to Arizona following a couple years in Europe, he's a full-fledged addict again. In addition to being a frequent contributor to several publications, Ray is the author of 52 Great Weekend Escapes in Arizona, the first in the "Year of Outdoor Adventures" series. His Arizona course reviews can be read at golfarizona.com. David R. Holland is an award-winning former sportswriter for The Dallas Morning News, football magazine publisher, and author of The Colorado Golf Bible. David was a Lieutenant Colonel in the Air Force reserve, serving during the Vietnam and Desert Storm eras. His final Pentagon assignment took him to Monterey, Calif., where he planned his next career - travel golf writing. Holland, whose favorite golf moment was teeing it up with former Dallas Cowboys coach Tom Landry, splits home time in Colorado and Texas. David's golf course reviews are featured on golfadvisor.com. The original Golf Blogger hails from Michigan and started his blog in 2004. The site has opinion, essays, news and golf course and equipment reviews. Some courses feature video reviews, which is a fun way to see the details of a course. Art Stricklin is Texas' most well traveled and passionate, award-winning golf and travel writer, according to his website. Solid golf course reviewer. Art has written golf course reviews for golftexas.com, golfcalifornia.com and golfscotland.com. Shane Sharp is vice president of Buffalo Communications, THE Global Sports Lifestyle Firm, a golf and lifestyle media agency. He was a writer, senior writer and managing editor of TravelGolf.com from 1997 to 2003. His reviews are included on lasvegasgolf.com, gulfcoastgolf.com, orlandogolf.com and many others. Katharine Dyson writes about golf, spas and travel for several national publications as well as being a guidebook author and radio commentator. Her journeys have taken her around the world playing courses and finding unique places to stay. She is a member of the Golf Writers Association of America, Metropolitan Golf Writers of America; Golf Travel Writers Organization and Society of American Travel Writers. Her course reviews are on golfadvisor.com. Bill Bowman is a Las Vegas-based writer who has nearly 40 years doing sports journalism. He's spent the past 15-plus years covering the golf scene in Vegas. Bill's reviews are on lasvegasgolf.com, travelgolf.com, golfadvisor.com and worldgolf.com. Chris Baldwin is a contributor to WisconsinGolf.com, NewJerseyGolf.com, MichiganGolf.com, TravelGolf.com, GolfCalifornia.com, GulfCoastGolf.com, WorldGolf.com, GolfArizona.com... to name just a few. The word prolific certainly applies to this man's golf course reviews. A Michigan native, this sportswriting journalist has covered four World Series, two NBA Finals, two Stanley Cup Finals, two U.S. Opens and plenty of other golf. Since 2005, Mark Nessmith has directed the TravelGolf Network's team from the company's European office in the Czech capital of Prague, as Editor and COO. When Mark served as a communications program manager for The PGA of America from 1998 - 2003; he helped oversee PGA Magazine, the official publication of the Association and the oldest golf journal in the United States, wrote for countless PGA print and online publications. Mark is a Florida State University graduate with a BA in English with a concentration in writing. He and his wife have three young children -- and one small dog. His reviews are featured on worldgolf.com and scotlandgolf.com. TravelGolf.com senior writer Rebecca Larsen is a former features and assistant features editor for the Marin Independent Journal, a medium-sized daily paper located north of San Francisco. She has a bachelor's in journalism from Northwestern University and a master's from the University of California at Berkeley. In the summer of 2001, she moved to Scottsdale, Arizona, with her husband Alan in order to work on her writing career and her golfing. She has had several young adult non-fiction books published. Her golf course reviews can be found at golfarizona.com, golfcalifornia.com, and worldgolf.com. John Eckberg addiction to the sport of golf began with nine-iron pitches to and from neighbor's back yard and on the golf courses in and around Akron, Ohio. His fondest golf memories happened during his teenaged-years when he and his brother would annually sneak into PGA events at Firestone Country Club, then spend the day eluding marshals as part of the army that trailed Arnold Palmer. His work has appeared in numerous publications, including The New York Times, USA Today, Newsweek, Sports Afield, Country Home, and Gannett newspapers across the nation. Golf Course reviews are found on golfohio.com, worldgolf.com and midatlanticgolf.com. John Gordon has been involved fulltime with golf since he became managing editor of Score, Canada's Golf Magazine, in 1985. Next, John successfully relaunched Golf Canada, the magazine of the Royal Canadian Golf Association, and serving as its inaugural editor, he was named executive director of the Ontario Golf Association. In 1998, John became the golf columnist for the National Post, one of Canadas two national daily newspapers, after writing golf for the Toronto Sun. Formerly the architecture columnist for www.golf.com, he now writes a column for www.sportsnet.ca. He is the author of seven books on golf including The Great Golf Courses of Canada (Volumes 1, 2 and 3). Joel Zuckerman is based in Savannah, Georgia and Park City, Utah. He is the author of seven books on golf, a professional speaker who presents at corporate events, conferences, country clubs and on cruise ships; and his golf and travel stories have appeared in more than 100 publications around the world, including Sports Illustrated, Golfweek, Travel+Leisure Golf, Continental and Golf International. His reviews are featured on golfeurope.com, hiltonheadgolf.com, golfcarolina.com, and travelgolf.com. Visit his personal website at: www.vagabondgolfer.com. Jeffrey Rendall is an avid golfer and freelance writer. After passing the California Bar in 1994, he moved to Virginia to pursue his interests in history and politics, where he's worked since 1995. Jeff specializes in course overviews and general Virginia golf news. Jeff holds a Political Science degree from UCLA and a Juris Doctorate from Pepperdine University in Malibu, California. When he's not golfing, he enjoys spending time with his family, touring historical sites, and reading historical narrative. Jeffrey contributes to midatlanticgolf.com, californiagolf.com, hiltonheadgolf.com, and travelgolf.com. Jeff Berlinicke is a golf writer based in Tampa, Fla. He writes for multiple publications including the Tampa Tribune, Golf Fitness Magazine, and the Associated Press. His reviews are included on worldgolf.com and floridagolf.com. Carla Harvey is a golf course review contributor to GolfEurope.com, TravelGolf.com & WorldGolf.com. She freelances for various magazines in Spain and abroad. She was the editor of Marbella Times for five years and WHERE Costa del Sol for two years. Online published work includes www.spainalive.com and its Seville section. She is Press Officer for a large international school in southern Spain and works as an Inspector for the University of Cambridge. Jay Mankus graduated from the University of Delaware with a degree in Recreation & Parks Administration, and was an outstanding high school golfer at Concord High School. Before graduating, Jay spent time as an intern at a golf club in the east suburbs of Cleveland specializing in golf course maintenance and design. Jay is a contributor to pennsyvalniagolf.com, golfillinois.com, golf florida.com and travelgolf.com. Connect with Jay on Facebook. Although in his 60s, with a handicap of 15 and lifetime earnings well below $100, Clive Agran nevertheless still believes he can win a major. Arguably England's most gifted golf writer (and we're guessing he'd be the one to argue with? ), when not dreaming of glory he's scouring the globe simultaneously searching for lost balls and great golf courses. Clive's reviews are featured on scotlandgolf.com, golfeurope.com, golfadvisor.com and worldgolf.com. Jason Stahl is a freelance writer. He graduated from St. Ignatius High School in 1989 and John Carroll University in 1993. Jason began playing golf at 10 years old and still has his first putter, a gift from his dad with his named engraved. Golf quickly became his passion. Two highlights of his golf life were playing in Ireland in 1988 and attending the Masters in 1997. Jason is a contributor to golfohio.com and worldgolf.com. Doug Saunders has covered the game of golf since 1985 and works on his swing and handicap during the summer from his sierra outpost in Lake Tahoe. During his career Doug has covered 20 major championships and his unique perspectives on the game have appeared in numerous publications including Golf World, GolfWeek, Golf Course Management, Golf Course News, Golfdom, and the USGA Golf Journal. Doug has contributed reviews to lasvegasgolf.com, golfcalifornia.com, and rockiesgolf.com. A Denver-based freelance writer, Diana Rowe Martinez is a member of Colorado Travel Writers and writes for publications, both print and online, in the industries of travel, nonfiction, and business. Besides golf, Diana's addictions include chocolate, cold beer (not necessarily in the order), softball, dancing, rodeos, and even reading. She is a contributor to rockiesgolf.com, travelgolf.com, worldgolf.com and lasvegasgolf.com with excellent golf course reviews. www.dianarowe.com. Jeffrey Weidel has been working in the Sacramento area as a sportswriter since 1981. An avid golfer with a 10.6 index, Weidel has been the Roseville Press-Tribune's golf writer for six years. Weidel resides in the Sacramento area with his wife (D.J. ), 11-year-old daughter (Courtlin) and the family's newest additions, Brianne, a very sociable cockatiel, plus a Maltese puppy named Sierra. Jeffrey's reviews are included on golfcalifornia.com. Jennifer Mario is a regular contributor to the TravelGolf Network and the author of "Michelle Wie: The Making of a Champion" (St. Martin's Griffin, 2006). A graduate of Duke University, she lives in the Triangle area of North Carolina with her family. Her reviews are featured on golfcarolina.com, hawaiigolf.com, and worldgolf.com. Derek Duncan's writing has appeared in TravelGolf.com, FloridaGolf.com, OrlandoGolf.com, GulfCoastGolf.com, theAPosition.com, LINKS Magazine and more. He lives in Atlanta with his wife Cynthia and is a graduate of the University of Colorado with interests in wine, literary fiction, and golf course architecture-- a fun and interesting combo for a golf course reviewer. Kyle Dalton has been a writer and editor for a variety of national publications in various fields, since graduating from the University of Texas in 1992 with a degree in journalism. Dalton has worked in the golf industry before as an assistant editor and regular contributor to The Golfsmith Clubmaker, a popular trade magazine published by Golfsmith for its clubmakers. He has written one book, Burned Orange: Tom Penders and 10 Years at the University of Texas. His reviews are found on golftexas.com, worldgolf.com, and travelgolf.com. Scott Bordow is the golf columnist for the Arizona Republic. He is a contributor to golfarizona.com, worldgolf.com and travelgolf.com. Tom LaMarre has been a sportswriter and copy editor in California for parts of five decades, including 15 years with the Oakland Tribune and 22 with the Los Angeles Times. He attended the University of San Francisco when the Dons were still a basketball power, and his golf idol growing up in Oakland was the late Tony Lema, who attended the same high school - St. Elizabeth's in Oakland. Tom's reviews can be found on worldgolf.com, golfcalifornia.com, montereygolf.com, golfeurope.com and travelgolf.com. Kelly Saul received her B.A. in Broadcasting at Arizona State University. After graduation in May 2001 she moved back to her native home of Los Angeles to work for NBC in Burbank. Her hobbies include golf, of course, tennis, softball, cooking, reading and traveling. Kelly's reviews are featured on golfcalifornia.com, golfarizona.com and travelgolf.com. Tim McDonald is a golf and travel writer, journalist, hard-core biker and snake handler. Veteran golf writer Tom Spousta writes about the PGA Tour, travel and golf vacation hotspots. He has covered golf and other sports for USA Today and The New York Times. Tom lives on a Donald Ross-designed golf course in Sarasota, Fla.
Andrew Resnik is a contributor for worldgolf.com and golfcalifornia.com. Ben Malone is a contributor to GolfCalifornia.com. Brendan O'Brien is a contributor to golfillinois.com. Carl W. Grody contributor to GolfOhio.com& travelgolf.com. Chris Sitzenstock is a contributor to rockiesgolf.com and travelgolf.com. Christian Boulton is a contributor to golfeurope.com, scotlandgolf.com and travelgolf.com. Darryl Berger is a contributor to pennsylvaniagolf.com, newjerseygolf.com, golfnewyork.com, and others. Gary Daughters is a contributor to Scotlandgolf.com. Jeff Nobles is a contributor to WorldGolf.com and FloridaGolf.com. John Kensington is a contributor to golfcalifornia.com and lasvegasgolf.com. Michael Hegarty is a contributor to golfarizona.com, lasvegasgolf.com, and travelgolf.com. Michael Hunsinger is a contributor to rockiesgolf.com, and lasvegasgolf.com. Michael Patrick Shiels is a contributor to michigangolf.com and worldgolf.com. Ray Brewer is a contributor to lasvegasgolf.com, michigangolf.com, golfillinois.com and golfohio.com. Rodney Campbell is a contributor to golfarizona.com and hawaiigolf.com. Scott Behmer is a contributor to golfarizona.com. Shannon Gazze is a contributor to golfarizona.com, pennsylvaniagolf.com and golfcarolina.com. Steve Habel is a contributor to golftexas.com and worldgolf.com with a speciality in Louisiana. Tom Robinson is a contributor to travelgolf.com. or maybe that's why we can't contact them, they're spurning the notoriety? 1) If you have ideas or suggestions for next year's list of Top Golf Course Reviewers let us know. 2) Images are used from the honorees webpages, facebook, linkedin or twitter pages. All rights belong to the honorees, original photographers and/or website. 3) Top Golf Course Reviewers are being honored in no particular order, everyone's a winner. 4) Pat yourself on the back for reading all the special notes. You rock!